One of the most treasured moment for me as a historian for wedding photography is the father of the bride, seeing his daughter for the first time in her dress. Through the years, as I did in this images captured at The Westin Resort & Spa in HHI, I have mastered my craft in creating this moment that is not only so meaningful but more importantly documented in a way where you can be a fly on the wall and let everyone in the room have the emotions that are so there all the time. 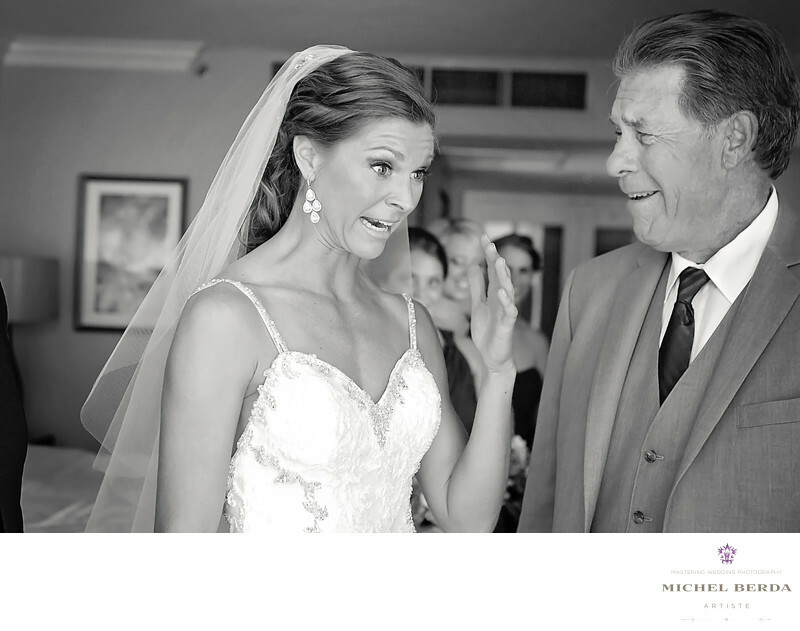 As in this image, in the bridal suite of The Westin Resort & Spa HHI, from the bridesmaids that can hardly keep it together, to mom looking at both her daughter, and husband while the bride to be is in aww waiting for the moment her dad turns her around with tears to show everyone, why she will always be his precious daughter. As a father of two great daughters, I love, love creating these images, it is always so touching for me, quite honestly I have no idea how I keep it together, and thank God my eyes well one eye is behind the camera, because I will let all of you in on a secret, I do shed a tear here and there, maybe that is why, my images that portray this moment is more then just priceless its a moment that belongs to the father and his daughter. Keywords: Hilton Head (75), photographer (1125), sc (309), Wedding (90), Wedding Photographer (1254), Wedding Photographers (198), westin resort and spa in hilton head (3).